Beijing Gimare Shell Craft Co.LTD—— Professional mosaic manufacturer! 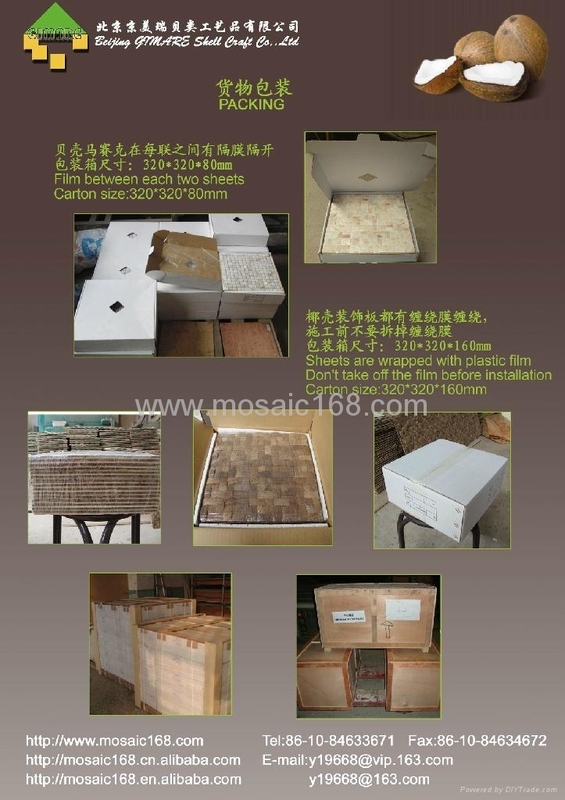 Shell mosaic; Coconut mosaic; Glass mosaic; solid wood mosaic; metal mosaic; decorative wall panel; gems panel. Life is a matter worthy of our full intentions. It will contribute us a much more beautiful and colorful existence. Beijing gimare shell craft co,.ltd. is specialize in producing various of natural, no radiation, no pollution building decorative materials which bring lots of natural element to our living. 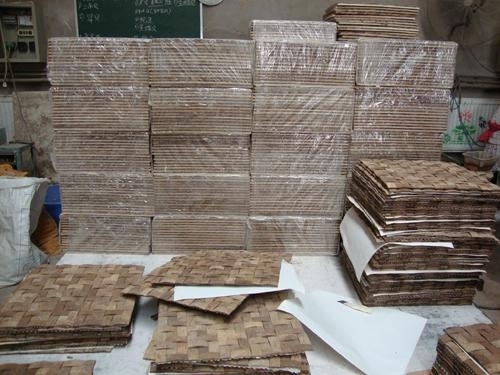 Products including kinds of shell and coconut mosaic, tile, art collage and so on. 1)Material: shell, coconut, stone, glass etc. 4) Usage: as decorative materials of bathroom, kitchen room, wall tile, table top, furniture, etc. 5) Backing Material: Mesh, Ceramic, PVC, and Plywood. Workers get shell pieces from river shell and sea mother of pearl and then stick them together to be a square mesh mounted shell tile. The dyed river shell mosaics have many colors to help users create a dazzling and colorful life style. We made many famous projects with them. They also applied to wall painting in hall, background, bathroom, and swimming pool. We also have soft shell mosaic which is known as shell wall paper. It mainly has two colors, gold and silver, they have very large use coverage, such as bar, hall, KTV, house, office and other amusement place. Coconut husk is a natural material found in most Tropical Countries and commmonly used as a raw material to produce handicrafts and souvenirs. We had implemented and machine cut-out version into small pieces of uniform size and thickness , mounting it onto a MDF board forming a 'Weave' pattern with the natural curve surface of the husk.